hey jen renee: knit with me. Knitting 101: Learn how to knit + purl with me! Spots are limited. Email me for more info or to sign up. 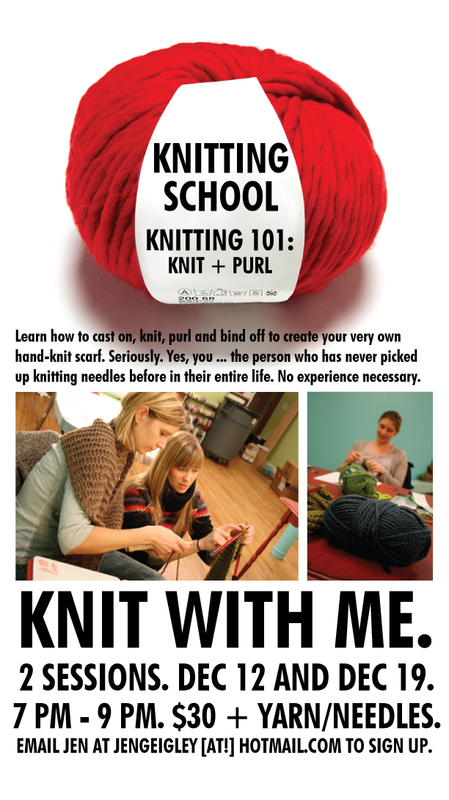 You could be knitting by Christmas! And did I mention that class will be held at a coffee shop? Knitting, coffee, friends and fun. Win. ** This is a local, in-person class that will be held in Des Moines. Sorry out-of-town readers ... I'd love to do an online class someday! Hopefully!